We are currently seeking a full-time or part-time line cook to join our restaurant and banquets team for our on-site restaurant, the Bluestone Grille. All rooms feature complimentary WiFi, a 32-inch HDTV with over 60 HD channels, and a refrigerator. Upgrade to a spacious suite offering a separate living area with sofa bed and two HDTVs. Bluestone Grille serves signature Carolina specialties for breakfast, lunch and dinner. Retreat to the Bluestone Bar for a local draft beer or cocktail. The hotel also proudly brews Starbucks coffee. Exercise in the fitness center and relax in the seasonal (May-September) outdoor pool and whirlpool. 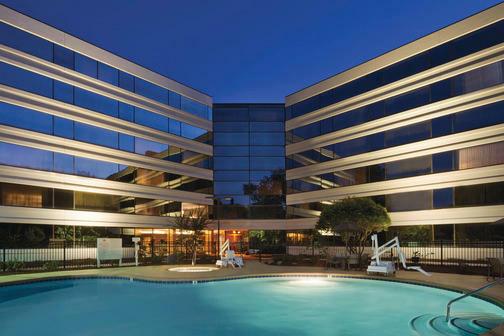 ~14 miles from Raleigh-Durham International Airport ~ 2 miles from Duke University, Duke Medical Center ~ 4 miles from downtown Durham, American Tobacco Complex and the Durham Performing Arts Center ~ We offer 10,000 sq. ft. of flexible event space ~ 8 miles from Research Triangle Park. GREAT BENEFITS! : Medical, Dental, Vision, Prescription, & 401(k) with company match! Long Term & Short Term Disability Insurance Life & Accident Insurance Flexible Spending Plans (FSA) Hotel Discounts & Programs Paid Vacation & Sick Leave Programs Training & Development and More!